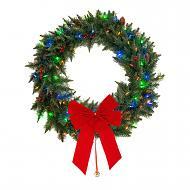 15W Replacement T8 Blacklight Lamp - Size 18"
Mr. Light 18" Pre-Lit, Decorated Wreath with 20 Multicolor LED's, and Bunches of Red Berries and Pine Cones. Indoor/Outdoor Battery Box + Built-in 6hr/ 24 hr Electronic Timer. 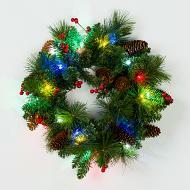 Dual Color 35 LED 24" Wreath with Red Berries and Pinecones, Changeable from Warm White to Multi Color, Battery Operated, Uses 3 AA Batteries. 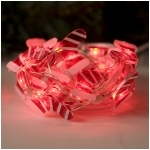 Includes Removable Red Bow.